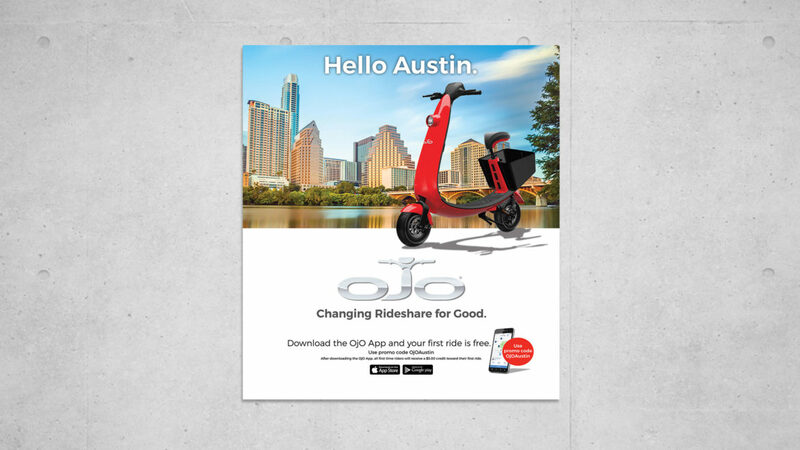 We created these print and social media ads to introduce the OjO Electric Scooter Rideshare program to Austin, TX. 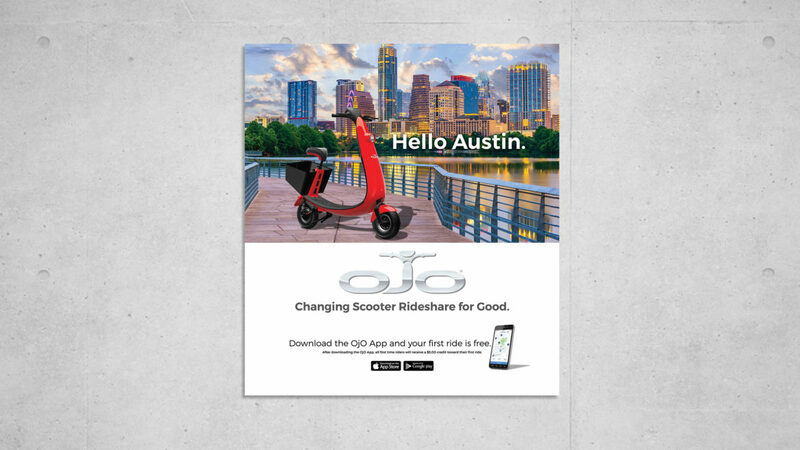 The OjO is an on-demand, electric, daily scooter. 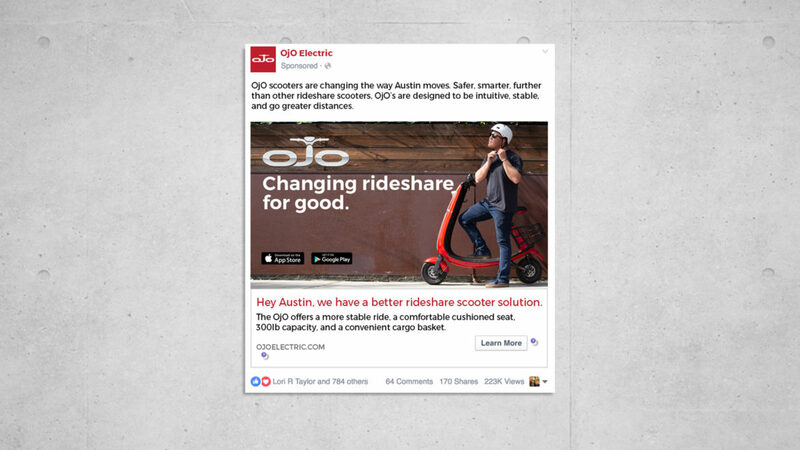 In addition to this ad campaign, we also designed the logo and other marketing materials.